Hotel in St. John's? Near Signal Hill? You found us! We are a hotel in downtown St. John’s with fast access to historic sights, the best shopping, and the international airport. Savour the privacy and services of a hotel but the cozier feel of a B&B. Book a room just for you, or a full home for you and a few friends, so you all have your own rooms yet share a kitchen and living room just to yourselves. 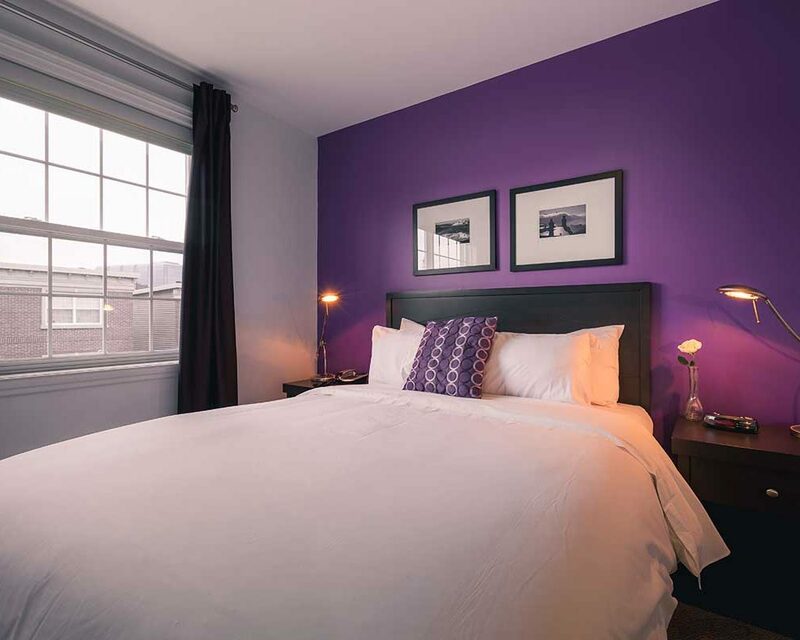 Welcome to Hometel on Signal Hill in St. John’s… accommodations that accommodate how you want to travel! Hometel on Signal Hill offers four room styles and 3- or 4-bedroom full-home rentals to match your specific tastes and preferences. Come home to designer colours, thoughtful touches, and elegant comfort after your weary day of travel or work. You can tell you’re home… at Hometel. Located on the second level, our standard room gives you a full private ensuite. These accommodations provide more than the basics, even at a basic price. This first-floor room is our most popular for value and convenience. Still, there is no lack of comfort or style. With the Deluxe Queen, you really can have it all. Located on the third floor, this is our finest room. The Premier Queen is your place to truly relax and get away from the rest of the world. Located on the first floor, this adds a separate living area to our Deluxe Queen, providing more space for a larger family or group. Choose a full home with either three bedrooms and living room, or four bedrooms. Both options also give you a kitchen and dining room. You want a hotel in St. John’s, but not just any hotel. You want comfort, convenience, and enough luxury to feel special without breaking the bank. Here are a few ways Hometel gives you that and more! Hotel? B&B? Best of Both! 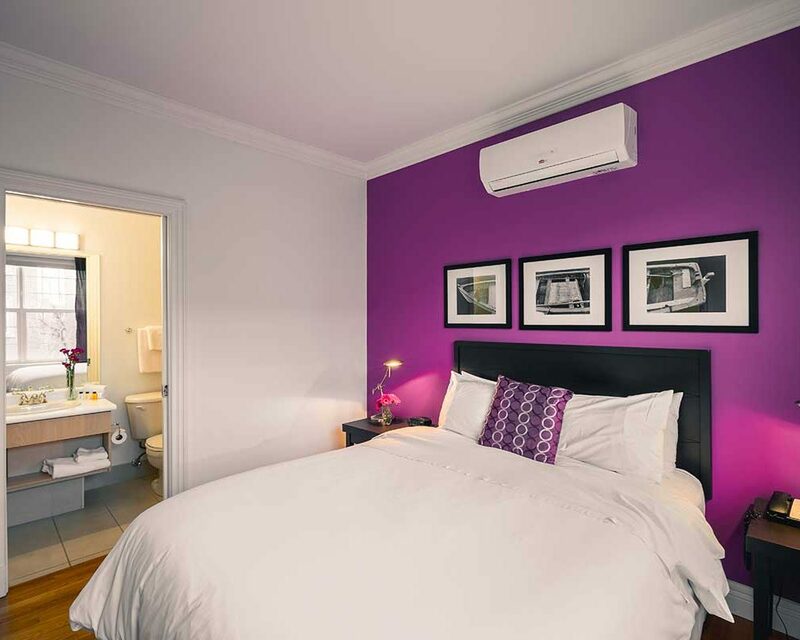 Enjoy the privacy of a St. John’s hotel or the cozy feel of a B&B. Or book a house for yourself and a few friends, all with your own rooms but sharing your own kitchen and living room! 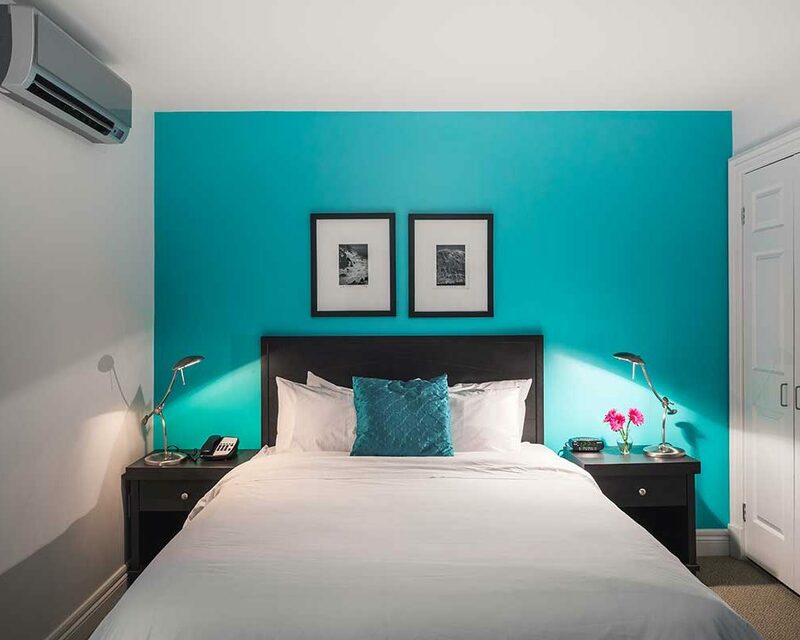 Snuggled at the foot of Signal Hill, Hometel is a hotel in downtown St. John’s and your perfect base to explore the haunts of pirates, travellers, and colonists from centuries past. Relax and enjoy a delicious continental breakfast at no extra charge, before heading out to start your day of meetings or exploring the old city. Available 7:30am–9:30am. Whether you’re working from your room or just can’t get enough YouTube or Netflix, you’ll love the high-speed Internet. Let us help you book a tour, find a dinner reservation, plan your day in St. John’s, or arrange dry-cleaning or laundry. We’re here to help! 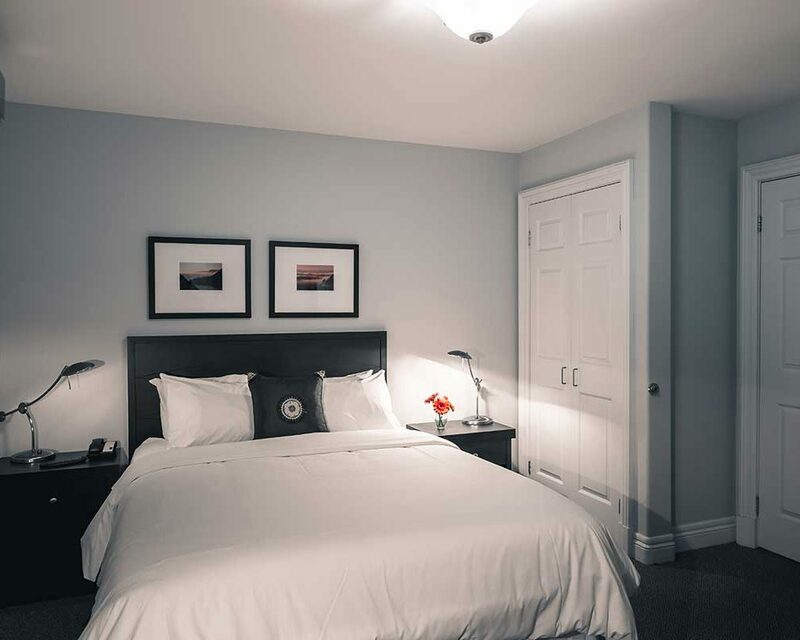 St. John’s is one of the world’s hidden treasures for travellers who like authentic experiences, and Hometel is your perfect hotel in downtown St. John’s. We put you within walking distance of world-class attractions and events. NSO – Masterworks 4 – Let’s call the whole thing ORFF! Welcome Home to Hometel. We are small, friendly, and accommodating. Get to know us as we get to know you. We are here to help, so if you need or are wondering about something, just ask! More than just a downtown hotel in St. John’s, we care about you and are working hard to make sure you want to come back. We write the rules, and at times we will also break them to accommodate special requests. Are you a hotel or a B&B? We are the best of both, offering the privacy you expect from a hotel and the personality of a B&B. You can book a room or a full home. The full home gives you your own kitchen, although you are still welcome to join us for breakfast every morning from 7:30 to 9:30. Please note that when booking a full home there is a minimum stay of two days and a 10% deposit is required. How close to shopping and downtown are you? Hometel on Signal Hill is approximately 7 km from St. John’s International Airport, less than a 15-minute drive. Citywide Taxi at the airport offers a flat fee of $25. We are about the same distance from the province’s largest shopping areas and, of course, we are on the edge of downtown shopping. When booking individual rooms there is no minimum stay. When booking a full three- or four-bedroom home there is a minimum stay of two days and a 10% deposit is required. Yes. 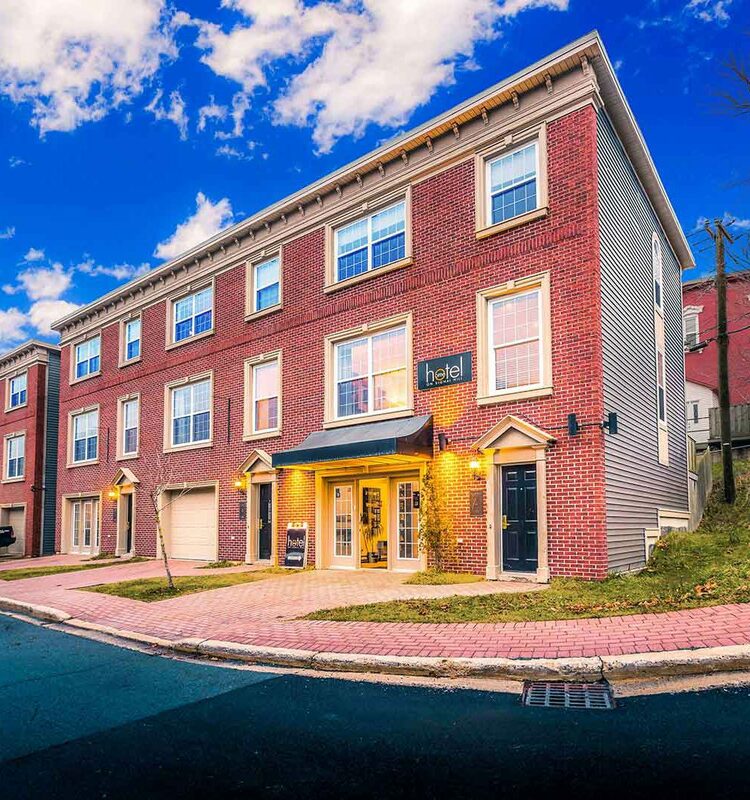 There are 10 driveways, one in front of each brownstone, providing free off-the-street parking on a first-come first-served basis. There is also street parking on St. Joseph’s Lane and in the area.